These are sometimes called Large Mahogany Duns. 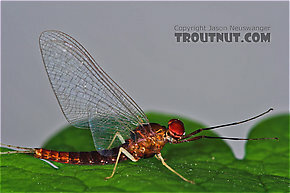 This is by far the most important species of Isonychia. 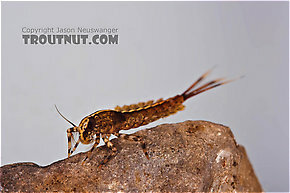 Many angling books once split its credit with the species Isonychia sadleri and Isonychia harperi, but entomologists have since discovered that those are just variations of this abundant species. 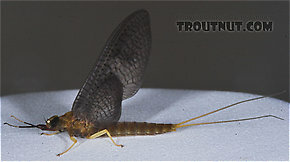 See the main Isonychia page for more about these intriguing mayflies.